Mrs. Shingler (of Simply Spellbound) was at it again! She’s had her hands full this summer planning three AMAZING birthday parties for her daughters (in addition to officially launching her party-planning business!). Check our her Facebook page here for all the lovely details. 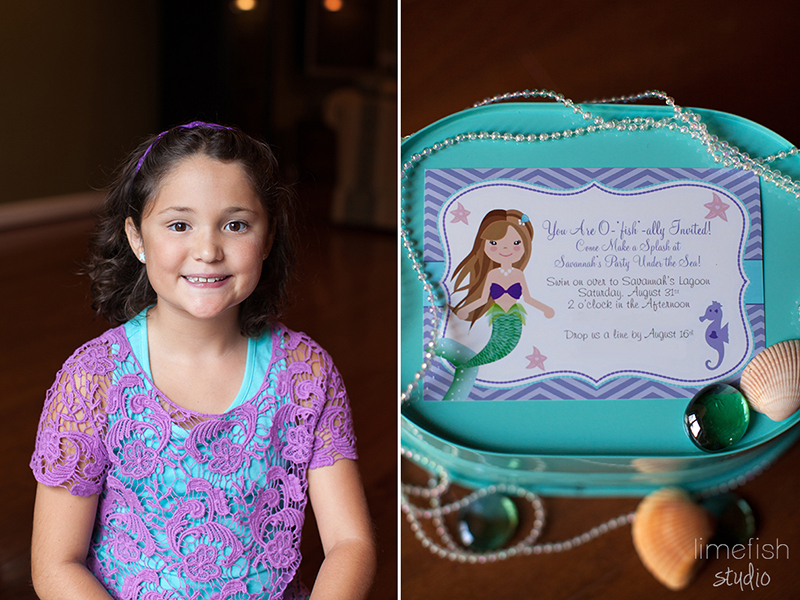 June was filled with pink and glitter for Sierra’s Barbie Party, July brought us Charlie Brown and Snoopy for Sydney’s Peanuts Party, and August now dropped us beneath the sea for Savannah’s Mermaid Party. I couldn’t be more thrilled at the opportunities to photograph such beautiful events! I’m always blown away by the attention to detail, creativity, and thoughtful execution of each party. 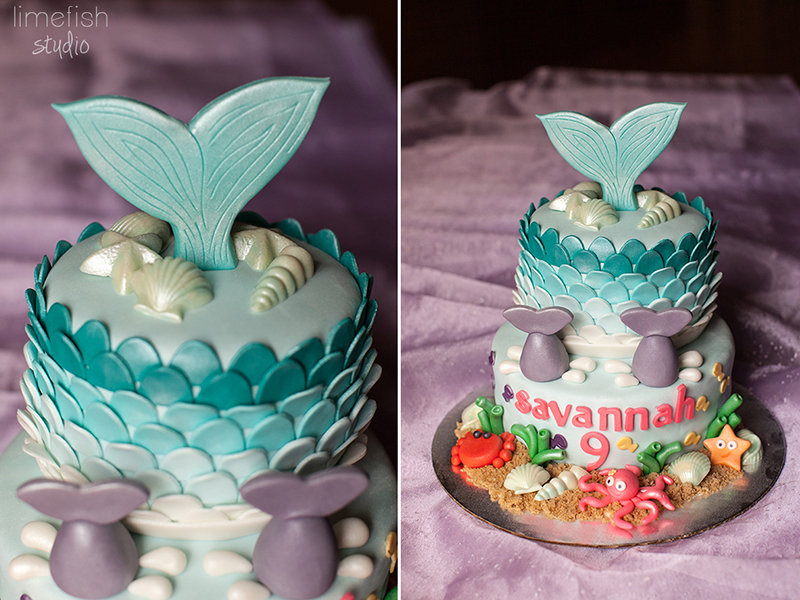 Below are a handful of my favorite photos taken in celebration of Savannah’s 9th Birthday! OH MY! This cake! From what I remember her saying, Mrs. Shingler combined a handful of inspiration ideas to present her fabulous cake lady (Simply Cakes by Alison) and this beauty was created. Every little scale, sea creature, and gain of sand was edible too! And….. how precious are these cookies which arrived all the way from the fantastic Whimsy Cookie Company in Tennessee. The STUNNING table … so artfully arranged. Delicious treats included Submarine Sandwiches, Sea Foam (cotton candy), Seaweed Spread (spinach dip), Beach Balls (round cheese puffs), Seven Leagues Under the Sea Salad (fruit salad), Sea Cucumbers, Fish (goldfish) and Chips, Conch Shells (velveeta), Sand Pudding (pudding with an awesome cookie crumble topping), and Sand Dollars (cookies). How adorable is this family!? Couldn’t resist catching Dad in action. 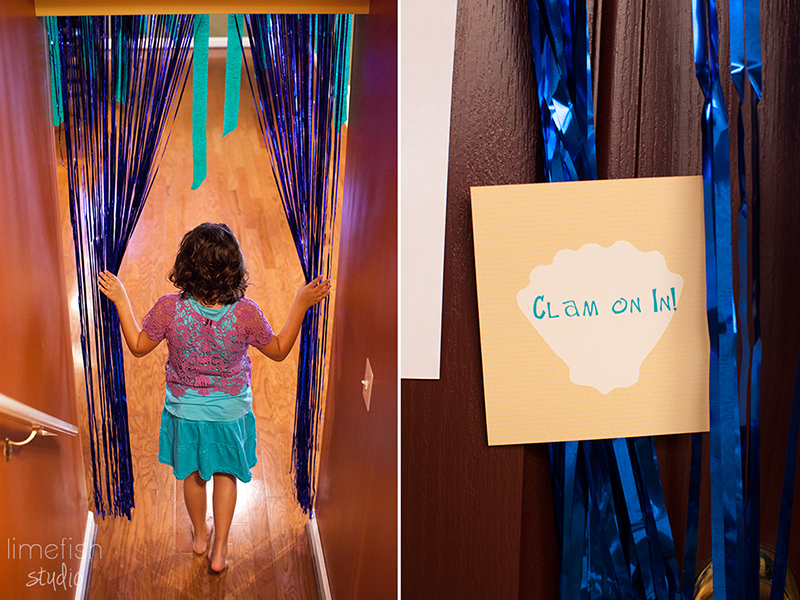 In addition to the beauty of these parties… there’s always AMAZING activities planned for the kiddos. Then… everyone ventured outside for CRAB RACES. Then… quite possibly my favorite part of the day… OCTO-HEAD! Each team consisted of two people. The “octopus” wore a shower cap which was then topped with shaving cream, and the non-octopus was given a cup with 8 cheese puff “octopus legs” to toss at their partner — trying to make as many stick as possible. As you might imagine… it was hilarious! We ended the afternoon singing HAPPY BIRTHDAY SAVANNAH! When I mentioned that this wonder-mom thinks of everything… here’s a prime example. Check out how cute these goodie bags are filled with goldfish and a shark attack snack mix! 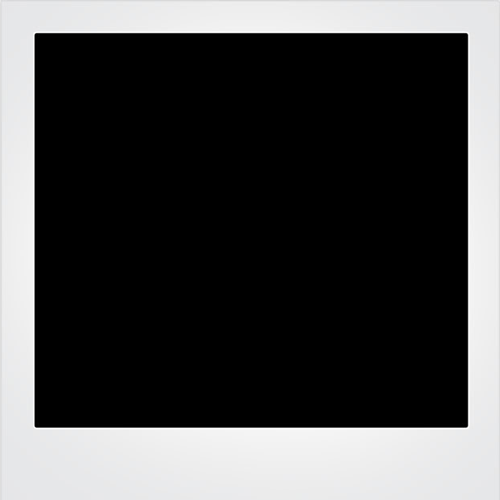 Click here to see this gallery on Facebook and perhaps leave your likes and comments on photos. Want to see the entire gallery of 200+ party photos on my Limefish Studio Photography site, click here.